Is Benelux Rail Pass worth it? The fun things to do in Amsterdam, Luxembourg, and Germany make it rewarding! I think its really convenient and easy to use. Recommend to all travellers. 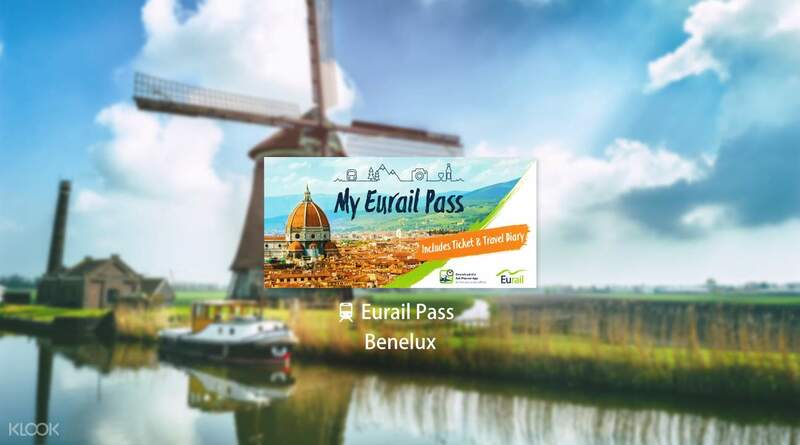 Experience convenient and cost-efficient travels across Belgium, the Netherlands, and Luxembourg (Benelux) with the Eurail Pass for Benelux. Offering travelers up to 8 days of unlimited train rides in the three countries, it's simply a must-have for anyone visiting the region! Make a booking by selecting your date of departure to Benelux, along with you're preferred train class & validity period, and you're all set. Once you receive your pass, just activate it and freely hop on and off trains as you wish without having to buy multiple train tickets throughout the journey. You'll also get free delivery straight to your doorstep, as well as added benefits like discounts on other means of transportation, city cards, and more! Enjoy big savings and hassle-free train travel all over Belgium, the Netherlands, and Luxembourg with the Eurail Pass for Benelux! I think its really convenient and easy to use. Recommend to all travellers. I think its really convenient and easy to use. Recommend to all travellers. Friendly reminder for all Eurail Pass users: Remember to mark down the dates of usage on the pass prior to using it, otherwise it is deemed invalid. Friendly reminder for all Eurail Pass users: Remember to mark down the dates of usage on the pass prior to using it, otherwise it is deemed invalid.